Terrain: The fifth stage starts by crossing a colorful volcanic range. An easy grassy part is followed by an extensive mossy lava field. Only vaguely marked overall, and the initial range not marked at all(!). There are tiny streams in the grassy part but no water at the end(!). The fifth stage starts with a steep ashy climb to a relatively small range stuffed with colorful volcanoes. It was surprisingly grassy up there. 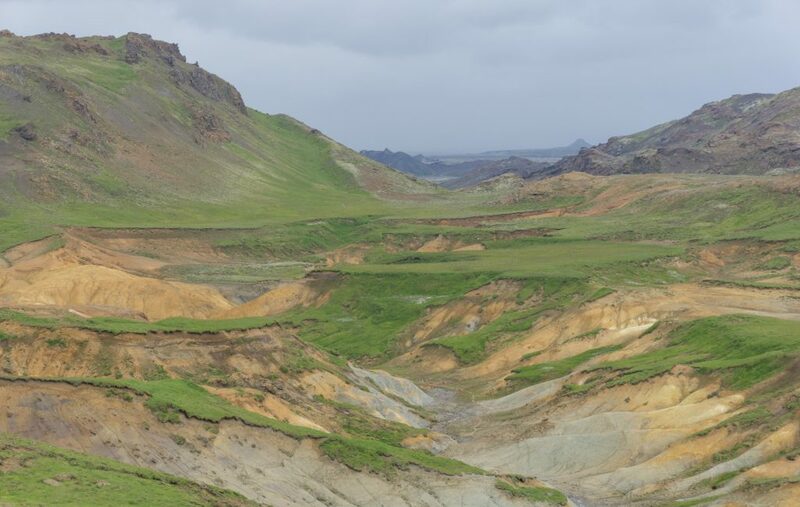 It reminded me of the Rainbow Mountains in Landmannalaugar. 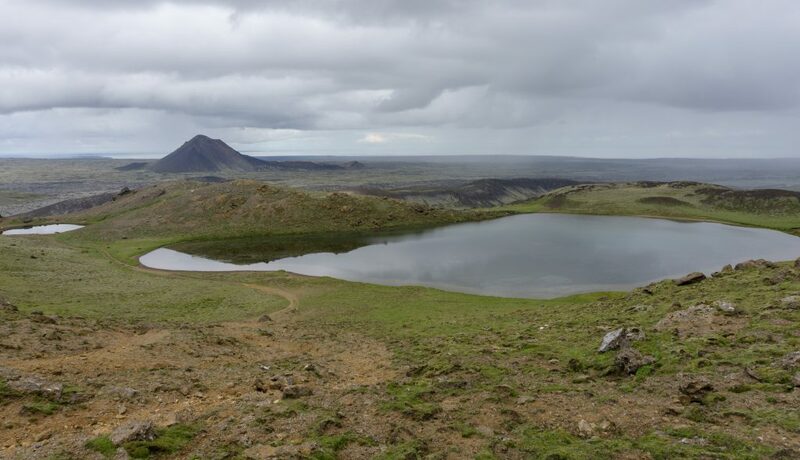 We walked around a couple of tarns and descended along the edge of a crater to a lava plateau. The whole range was very lovely but the absence of marking make it potentially dangerous. At the very least be sure to check my GPS coordinates before heading up there. After a while we passed a few small streams. This is the last water until the end of the trail so make sure you take plenty. 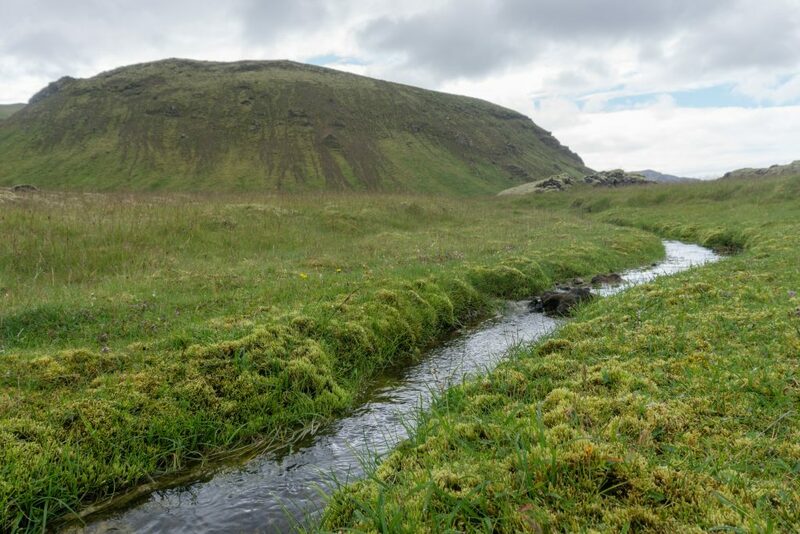 If you plan on stopping in Grindavík (and I recommend that), of course you can get water there. 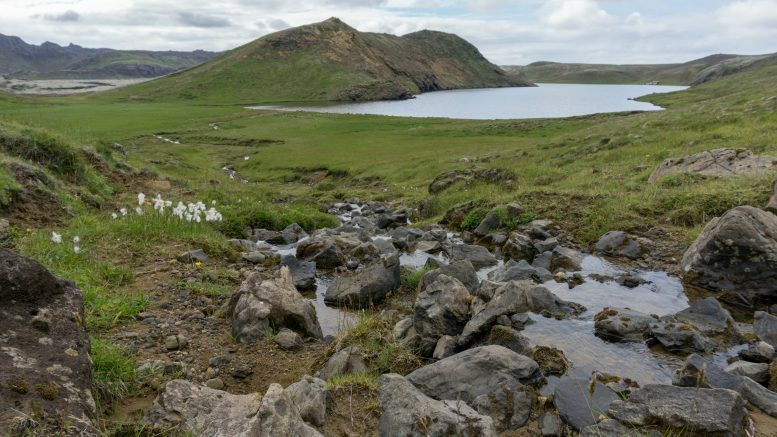 The next few kilometres were along a lovely grassy area full of Icelandic black & white sheep. Very decent looking animals! The last stage of the trail is another lava field (of course). Brattháls its a perfect place to pitch a tent on a flat grassy foothills. Be the first to comment on "Reykjavegur, stage 5: Djúpavatn – Brattháls"